Here’s the latest Resin Car Works HO scale freight car kit! The CB&Q installed 16,000 cars in the XM-32 boxcar class between 1940 and 1958. 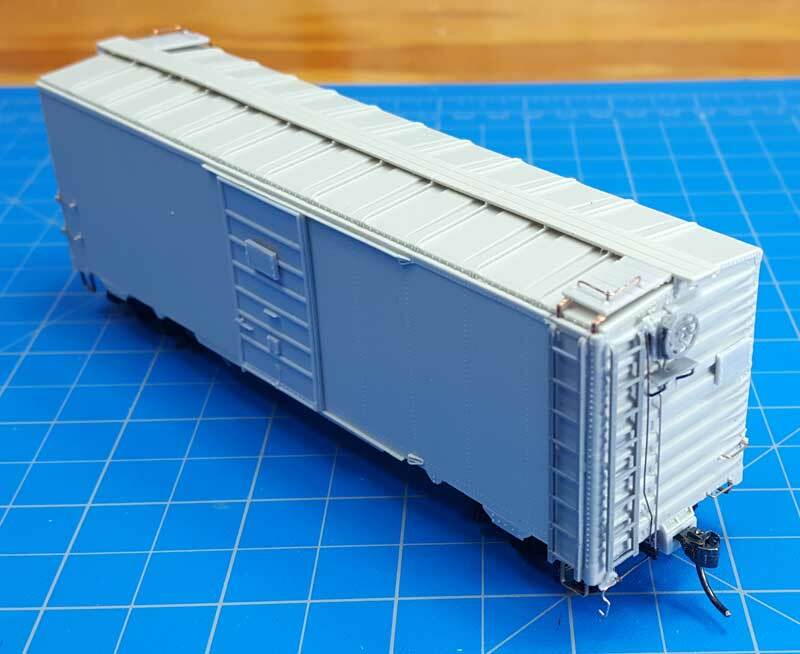 This new one piece body kit best represents about 4000 boxcars built during World War II. The kit includes decals and a pair of Tahoe Model Works AAR double truss 50-ton truck side frames. Visit our website for details and ordering information. Gosh Frank you guys get better with each offering. As if the others weren’t good to begin with. Very nicely done!